Why are disabled people seemingly unexpected in the legal profession and what can we do to create a culture of inclusion and access? These are the questions that the Cardiff University based “Legally Disabled?” research team are setting out to answer. Working in coproduction with the Lawyers with Disabilities Division of the Law Society, the researchers held a series of focus groups around the UK with disabled legal professionals. This helped to identify the key issues experienced by disabled people in trying to get into the profession and then progressing their careers once there. The team are now looking for individuals to participate in one to one interviews that can explore these issues in more depth. This is the first project of its kind that focuses on disabled people in the legal profession and hopes to begin some much needed conversations about addressing barriers and promoting equality and inclusion. Disabled people working in other professions may well experience similar barriers to career entry and progression as those in the legal field. The researchers hope that the findings of this research will be transferable to other occupations. Much policy attention is focused on getting disabled people off benefits and into any work, regardless of whether the work is suitable, accessible or good quality. It’s crucial that employment policies support disabled professionals to progress their careers and retain high quality employment. 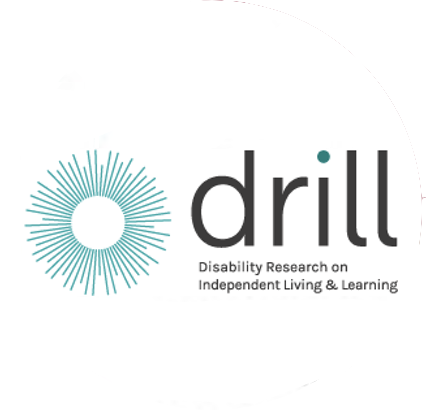 Very little research currently exists to document the experiences of disabled people in professional careers. Disabled people seeking employment or working in the legal profession are an untapped resource. Their lived experience of disability means they have strong ambition, tenacity, determination and excellent problem-solving skills – all qualities that bring great benefits to employers. However, findings suggest positive experiences of support, good attitudes and appropriate reasonable adjustments are something of a lottery. The profession is generally poorly equipped to anticipate reasonable adjustments to accommodate disabled candidates who apply for a training contract or pupillage. Lack of part-time training contracts is one such barrier. Discrimination and a poor understanding of reasonable adjustments and how impairments and health conditions can vary, impacts heavily at the interview stage. This creates disadvantage and reduces opportunities for entering and progressing in Law. A large proportion of focus group participants reported instances of discrimination associated with their impairment. This creates a reluctance to disclose an impairment or health condition which in turn prevents individuals from accessing support. Inflexible, often outdated working practices and the absence of imaginative job design, limits access opportunities for disabled people and career progression. Profitability and competition drives vast sections of the profession, disabled people feel they are unfairly viewed as not being ‘profitable’, productive or capable of meeting targets. The valued added by disabled people can be overlooked. There are early indications that examples of good practice are influenced by sector of the profession, size and location of firm and the role of equality clauses in procurement contracts. Strong role models, supportive senior colleagues and the presence of mentors and networks are important factors for enabling career progression. There are commonalities with other groups, such as women and those with caring responsibilities. Improved opportunities for flexible working and inclusive workplaces benefit the wider workforce and clients. The lessons learned from this research will also be transferable to other professional occupations. However, the research is independent of any professional association, regulator or employer and your anonymity is assured at all times.